Geometry is an integral part of mathematics and mathematicians have been studying and formulating important results to simplify for years. Since, it is immensely significant it has been part of our curriculum as soon as we join middle school, though the concept taught in early years of middle school are much simpler and basic than what is taught at high and secondary years of our schooling. Because of the inevitability of deep rooted of Geometric concepts, it forms a significant part in the course structure of various competitive exams such as CAT, XAT, SSC, BANK PO, etc. Nearly 4-5 questions are asked every year on this branch of mathematics with wide ranging difficulty level from medium to hard. Geometry is that section of math’s which deals with the deduction of properties, measurement and relationship of points, lines, angles, solids and figures in space from their defining conditions by means of certain assumed properties of space. And in this blog, we will discuss about this specific measurement function of geometry that itself forms a subdivision of it and named as Mensuration. 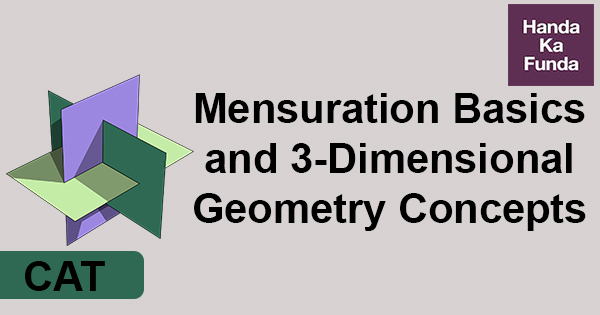 Mensuration deals with measurement of 3D solids in terms of Total surface area, Lateral/Curved surface area and volume. Given below is the table with all the formulas of T.S.A, C.S.A and Volume of various solids. You might be acquainted with all the solids given in the above table and have done questions in your high school on them but now let’s learn about some more solids that you might be unaware of. Everyone must have heard this name Prism and might now a little about it through Physics or may be some of you have don’t remember anything at all. Today, I’ll tell you geometric properties of Prism. A Prism is a polyhedron comprising n-sided polygonal base congruent with a face parallel to it whose lateral faces are parallelogram and has a same cross section all along its length. The number of lateral faces is equal to number of sides in the polygonal base. Thus, the base could be triangular, quadrangular, hexagonal etc. A prism is said to be right, if the side edges are perpendicular to the ends. For example, cuboids and cubes. With the word pyramid what first pops up in our mind are pyramids of Egypt. And you are right, pyramid is of the similar in structure with the pyramids of Egypt. But its just that pyramids of Egypt are one kind of pyramids with square base. Mathematically, a pyramid is a polyhedron formed by connecting a polygonal base and a point called apex. The lateral surface of pyramids form triangles. A pyramid with n-sided base has n+1 vertices, n+1 faces, and 2n edges. 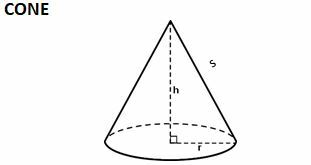 A right pyramid has its apex directly above the centroid of its base. Since now we are familiar with all the solids and the formulas to calculate their surface area and volume we can move on to try solving some questions but before moving forth to that keep these important points in your mind that will assist you in solving questions in simplified manner. Diagrammatic representation: As we are talking about 3D here, it’s crucial that we visualize the objects specified in the question. If we are unable to diagrams from the information given in the question then the whole exercise is futile. Thus, the pictorial representation of solid is the key piece in solving the question. If we are able to clearly define the interconnectedness between different solids half of the question is done. What left is to plug in the formulas using the given and interpreted parameters and you are done! Symmetry: Solids such as cube, spheres etc. are symmetric and thus questions can be solved with the help of symmetry. But to make use of symmetry make sure you understand the concept properly and know it’s application as well. If a sphere is inscribed inside the cube of side a, then the radius of the sphere will be a/2. 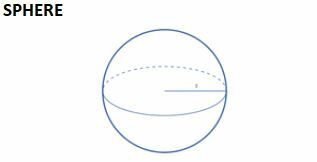 If the sphere is circumscribed about the cube of side a then the radius of sphere will be √3a/2. Let’s do some problems now on these solids. Therefore, the right option is (d). Thus, the resultant cylinder has volume has volume ½ of Y. Therefore, the correct answer is (c). 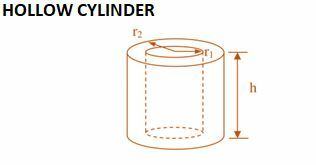 Problem 3: Water is poured into an empty cylindrical tank at the constant rate for 5 minutes. After the water has been poured into the tank, the depth of the water is 7 feet. The radius of the tank is 100 feet. Which of the following is the best approximation for the rate at which the water was poured into the tank? 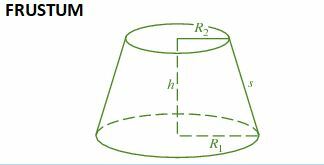 Problem 4: A conical cavity is drilled in a circular cylinder of 15 cm height and 16 cm base diameter. 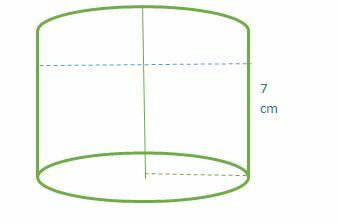 The height and base diameter of the cone is same as those of cylinder. Determine total surface area of the remaining solid? 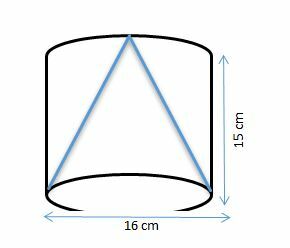 In this question, we are given a cylinder out of which a cone is scraped out and we need to find out total surface area of the remaining solid given in the above figure. Since, the prism has rectangular base then the prism formed is cuboid with the ratio of length and breath is 3:2 and height is 12 cm. The above questions are some examples of the kind of problems that you might be asked in the exam. But, mensuration of 3D is a diverse topic and questions with various different combination of concepts could be asked in the exam. To get more idea you can solve all the previous year question papers, they’ll help you determine the kind of formations and concept based on this topic can be asked so do practice them.